For many, its canals, bridges, art and architecture make 1,500-year-old Venice the most beautiful and most romantic city in the world. It is also a perfect venue for magical culture and music. There is so much to see from the charming famous gondolas. First-timers start with Piazza San Marco and the exquisite views from the bell tower, and the Bridge of Sighs, where a local legend says that lovers will be assured eternal love if they kiss under the bridge on a gondola at sunset. 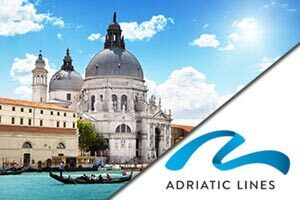 Upon your arrival in Venice you will be met and transferred to your hotel. Balance of the day at leisure. Your morning tour is highlighted by the visits to the Golden Basilica of San Marco, the Bridge of Sighs and the Piombi Prison. A remainder of the day is free. Additional sightseeing tours and excursions are available.